Southern California was shocked early in November by the death of San Bernardino police officer Bryce Hanes. Even at the Capitol Building in Sacramento, flags were flown at half-staff in honor of Hanes. Governor Jerry Brown said in a statement that he joins “all Californians in mourning his loss and vow to always remember his selfless service and sacrifice on behalf of his community.” Bryce, 40, was a father of three, a dedicated police officer, and a devout Mormon who didn’t, drink, smoke, or even curse. Bryce Hanes was killed by a driver the police suspect was intoxicated at the time of the accident. Archie Green III, 27, of Fontana, was arrested on suspicion of vehicular manslaughter and felony DUI causing injury or death, police said. 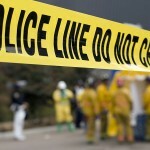 If you are charged in southern California with vehicular manslaughter or with felony DUI causing injury or death, frankly, you are in serious legal trouble. 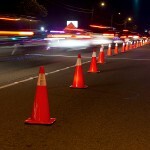 You’ll need to fight the charge with the help of an experienced Orange County DUI defense attorney. 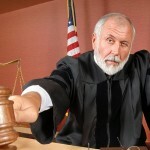 If an acquittal or dismissal of charges is possible, your attorney will fight for it. If the evidence against you is overwhelming, your attorney can work to have the charge reduced or to arrange a plea bargain that lets you avoid the harshest penalties. The penalties – if you are convicted of vehicular manslaughter or felony DUI – will vary based on a number of factors including your previous convictions, your blood alcohol content level at the time you were tested, and the extent and severity of the damage and injuries you caused. If you’ve had a couple of drinks with friends, don’t drive. It can’t be said enough times. Take a taxi, call a ride service, or have a sober designated driver. If you don’t, you could face far worse than a simple misdemeanor DUI. You could destroy a family, kill a beloved public servant, and ruin your own life in the process. 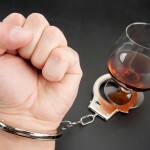 If you face any DUI charge in southern California, from felony DUI causing injury and death to a first-offense misdemeanor charge, get legal help swiftly by contacting an experienced Orange County DUI defense attorney as quickly as possible.